Rescues for flooded areas, attention to communities cut off from the rest of the country, delivery of basic supplies and much more work continue in Costa Rica as the country continues to recover from Tropical Storm Nate. 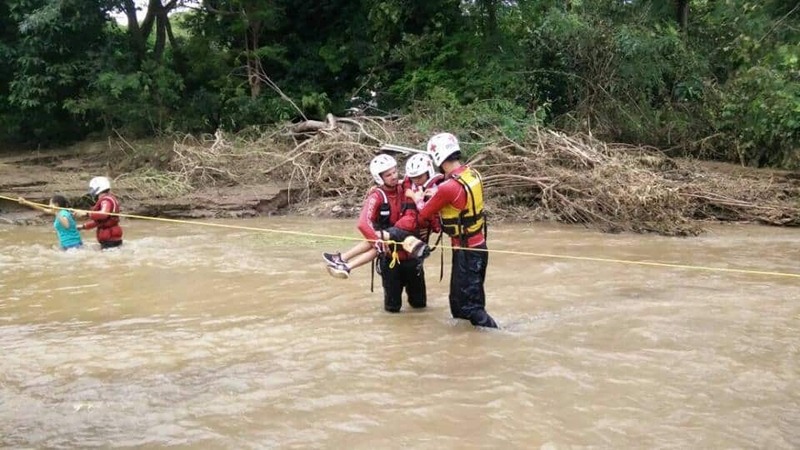 The National Emergency Commission (CNE) released this photo of Costa Rican Red Cross Search and Rescue workers helping people in the Guanacaste community of Sardinal, which was isolated by flooding. Red Cross workers made temporary bridges so they could take food into the community and get people out, the CNE reported. A total of 7,700 people remained in shelters nationwide as of Sunday evening. Schools in many areas of the country remained closed Monday. 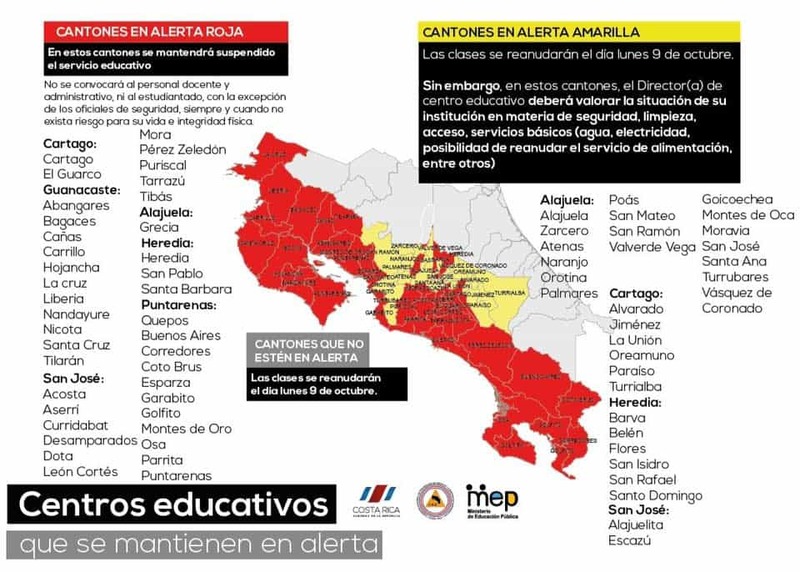 The Public Education Ministry (MEP) released this map showing regions with ongoing closures in red, and regions where schools can reopen today in yellow. Read more about Costa Rica’s response to Nate, and how to help. Stay tuned for more on this developing story.